How Important Are Our Race Route Maps to You? I received a notice last night from the operator of the website that provides our half marathon course maps (like the one in the photo above), that Google Maps has begun charging for the use of their map data, and that they’ll need to begin charging us to use them as well. The maps have been free for us to use for more than a decade, so I really can’t complain. However, they do require a significant amount of time to create and maintain, especially as many half marathons change their routes each year. What I’d like to get a sense from you is, how important are these race route maps to you? Are they what you visit our website for, or is the other information we provide on races, training, etc., the primary reason you visit? Please let me know in the comments below — thanks! The maps are absolutely critical in making decisions about what races to run! The maps and corresponding elevation charts are the primary tools I use on your site once I’ve identified a potential race. If I’m looking for a flat course through a residential area, I can immediately see that. If I’m looking for a gradual downhill through a valley, I can see that. If I’m looking for a run that takes me through the heart of a city, I can see that. I even use it to plan my music to correspond to different sections of the race based on elevation. YES, sometimes I can get this from the race site itself but I can quickly do this from your site without ever leaving. It allows me to filter my race list more easily seeing the maps, areas, elevations, etc. The maps are probably the most important thing to me on this site in deciding which race to run (I’m trying to run one in all fifty states). For smaller races, course maps are often not available on the race website. The race course maps are the first thing I look at because I’m older and need to know if I can run it or not. Thanks for asking. I LOVE the maps. I’m a recreational runner, but have a goal of doing a half in each of the 50 states. The maps are wonderful for comparing different races in the same city. They’re also an incredible help when going to a place I’m not familiar with. For instance, I ran in Manchester, NH two weeks ago and the start/finish line was literally outside the front door of my hotel. It might not be popular, bit I’d be willing to pay a couple dollars a month for a “map membership” or would donate (wikipedia style) to help keep this incredible resource available. Just wanted to chime in and concur with everything said here. 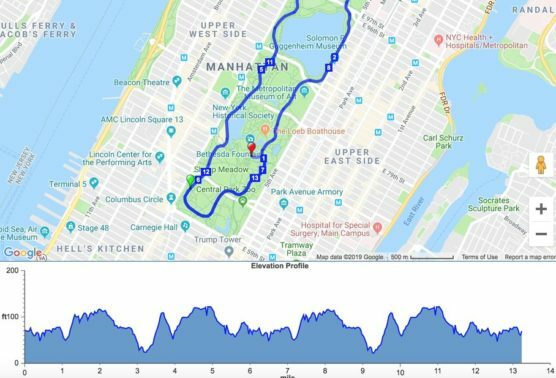 I run at least one race a month, I use your site often, and I love the maps for a number of reasons: to check out the potential for nice scenery, to check out the terrain, and also to see if the course is a loop, a one-way trek, or an out-and-back. When picking a race to run (particularly an out-of-town race), the maps are often the deciding factor. That said, I also agree that a link to a course map on the host race’s website would be just about as helpful. SO important to me! I review these over and over! That’s how I choose a race. The elevations. I LOVE the information provided by this website, including the race course map. It’s very important for me to decide which race to run. I always check the map and the elevation changes before I decide with race to run. I run probably close to 20 races a year, mostly by using your website to find the right race. It would be huge loss if you can no longer provide the map because of the new google policy. I am not sure about the pricing, but if it’s based on the number of uses. Maybe for races that already have the information readily available on their race website, then you can skip providing the map to save some money and just direct folks to their race website course page. For ultra small races, maybe we will just have a hard choice to make to skip providing maps in order to limit costs. Just a thought. Keep up the good work and I thoroughly enjoy your website!!! Thank you so much, Kai! The maps are one of the first things I look at, because I want to see what the race will take me by as far as scenery, and even more than that, I want to see the elevation changes. I make my decision about entering a race largely on that. I don’t use the maps as much as I do the elevation charts. Not many races seem to post elevation charts so it’s very helpful to have that here. I find the maps very helpful as race websites do not always have good course and especially elevation info. That said, my main use of the site is for race dates and locations. I would certainly understand not absorbing that cost. Either way, thanks for all you do! I use this site primarily for race dates and locations. The map is definitely a convenient feature, but I have found that it isn’t always updated/accurate or available for certain races that I am checking into anyway so I just go to the sponsors website and I can usually find that information. For me personally, not having the map feature would not stop be from frequenting your site on a regular basis. I would just know that I would have to visit the sponsors page for the route. On a side note, almost all races usually have a Facebook page as well, so I have messaged the organizer through Facebook to get the course map/route. Thank you, April! That’s really helpful feedback. I’m thinking that I won’t be adding any new course maps to race pages as new races come in, but the older course maps (as I understand) are being converted to a map provider other than Google, which should solve the immediate problem. As for the problem you mention, that’s a longer-term one for us — keeping them all updated is definitely a challenge, and sometimes we miss things. Your suggestions are good ones. Thanks again! The people telling you “Oh, I just go to the race website” can’t be looking at enough of them. Probably half the race websites that are directly linked here either 1) Don’t have course maps at all 2) Have a map several years out of date 3) Have no elevation map 4) Have no mile markers on the map, or 5) Are too small/blurry to be useful. That’s aside from the fact that the race websites WITH useful maps are all in different formats, making it harder to gauge against each other. The huge benefit to having them all here is you use the same format and same graphics for each one, so cross comparisons are easier to judge. You’ll be making a big mistake if you punt on this feature. That is really good to know, SD, and I’m glad you shared it. You’re exactly right about the quality of course maps — they’re *very* inconsistent from site to site, and often are copies of copies, which makes them blurry, fuzzy and not very useful. My guess is that most race directors are focused on a million different things in preparing for their race, and providing easy-to-access (and easy-to-read) course maps just doesn’t rank as high as it should on the priority list. Add to that the fact that every race website is different, so you have to figure out where to find it on each site. That’s why we’ve made every page the same here, so you don’t have to learn a new behavior to find the info you’re looking for when you come back to us in a day, a week, a month or 6 months from now. Great feedback. I like what SD said here. The format of every map being the same is a tremendous help. And the elevation map is crucial. This site is the mecca. If you didn’t provide the service, it would be detrimental to half runners all over. I hope you are able to find a way to work it out where it works for you financially, but also still as available as possible to us runners. Fingers crossed!! I use this site to research races and dates, then go directly to the sponsor’s website. They usually have race maps there. My primary use of your site is to discover new races and plan out my race calendar over upcoming year. Closely behind this are the maps and, especially, the elevation profiles. My primary use of your site is to discover new races and plan out my race calendar over upcoming year. Closely behind this is the maps and, especially, the elevation profiles. Love the course maps! But I also understand race sites also have them available. An alternative to Google Maps is OnTheGoMap.com. They recently migrated away from Google, and I use the site on a regular basis for personal runs. PS – love this website! The course maps are very important to me. I wonder if we would all be okay with a premium version of your website where for a small subscription rate, we would get these things. I loved that your site was free and that helped me become addicted to it Now I would gladly pay a small fee to keep it and all the things I love..
1. Link with Strava and/or your fan base have people send course info (elevation/map/route screenshots) for each half. 2. Where that is not possible, simply put an explicit link that sends viewers directly to the course map posted on the race site. I use these maps to see where I can view the race and see where to view the race. I’m still trying to find where the race begins in relationship to my hotel. The to reasons I visit this site are 1) race calendar and 2) course map (especially elevation profile.) I love this website, and it is how I always plan my racing season! The maps are convenient, but I am more interested in a link to the race web page. If that is provided, the course map can be viewed on that page. Save your money and time with the upkeep. The course maps and daily weather averages are absolutely the single most-important piece of information I get on here! In fact, I typically don’t run races that directly link to outside websites without that info. Please don’t ever eliminate the maps and weather feature!! !